"Eat breakfast like a king! This recipe is a quick on-the-go option for a healthy, filling breakfast or snack. You will be charged with energy and better able to focus on what else you have to do! Enjoy!" Blend almond milk, oats, strawberries, blueberries, clementines, apple, avocado, flax seeds, honey, coconut oil, and chia seeds together in a blender until smooth, 30 to 60 seconds. After first 30 seconds, open lid, mix contents using a wooden spoon, and check the consistency. Add more milk if necessary. Add a handful of ice if you want it cold. Delicious and very filling breakfast. This is my favorite one so far. 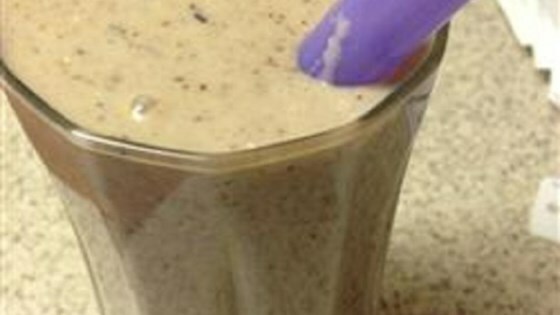 I recently tweaked it by adding a scoop of my vanilla protein powder. This is so delicious! AMAZING!!! LOVE this recipe. Thanks so much for posting! I had some missing ingredients (rolled oats, apple, flax + chia seeds) and only had regular milk - but it still came out a delicious and smooth smoothie! Delicious and ok to make ahead and freeze.